There’s something about a cemetery that can cause you to quicken your gait as you walk by, especially after sundown. All graveyards have their own unique brand of eerie, but these haunted cemeteries are spooky enough to inspire the scariest campfire stories. If you’re traveling nearby, beware — or visit, if you dare! Not only is Père Lachaise Cemetery the largest cemetery in Paris, but it’s considered by some to be one of the most haunted places in the world. Visitors claim to often spot ghosts among the statues, and former Doors singer Jim Morrison is said to frequent his burial plot. Even in daylight, statues like this one, covered in unidentified muck, could cause shivers to run down your spine. Don’t let the picturesque palm trees and flowing fountains fool you. 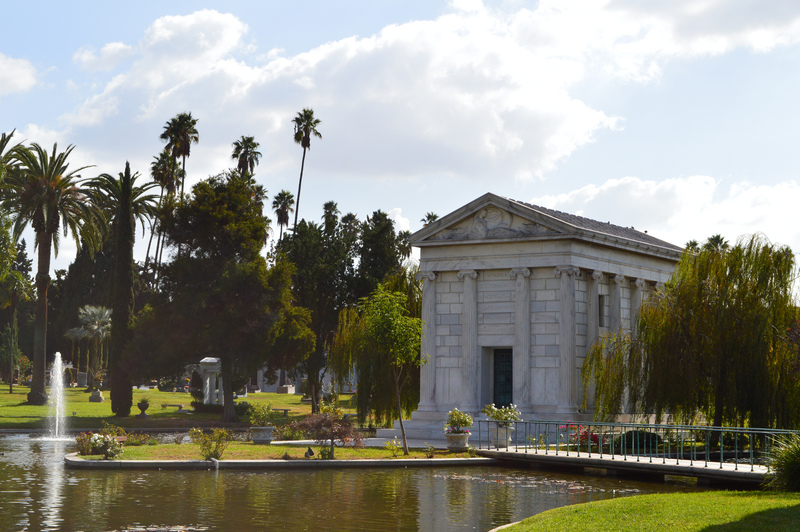 Hollywood Forever Cemetery may be filled with more former stars than anywhere else, but all those broken dreams could lead to some creepy happenings if you’re brave enough to wander about. 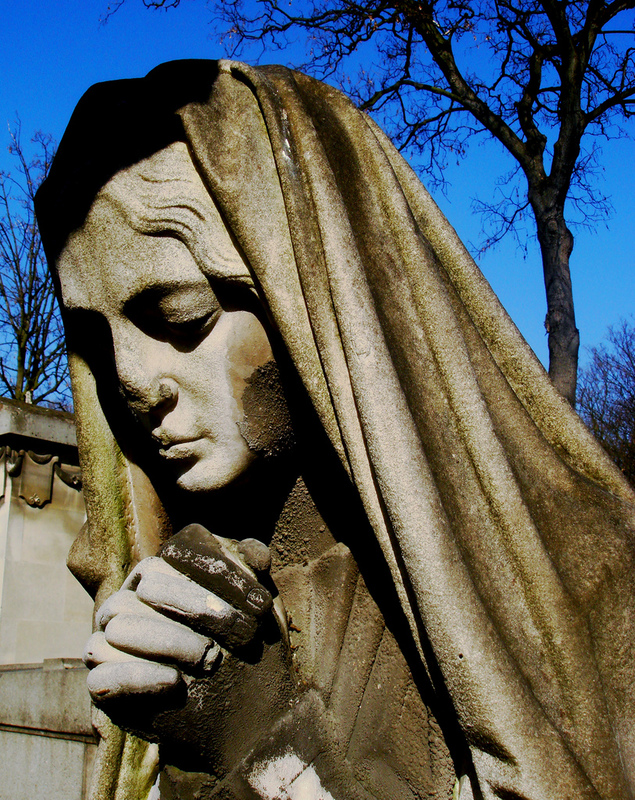 Resurrection Cemetery in Chicago is said to be the home of the original hitchhiking ghost, Resurrection Mary. Even if you don’t want to meet the spirit of a young blond girl in a pink party dress asking for a ride home, the cemetery’s high, spiked gates offer a not-so-gentle warning to stay away after nightfall. 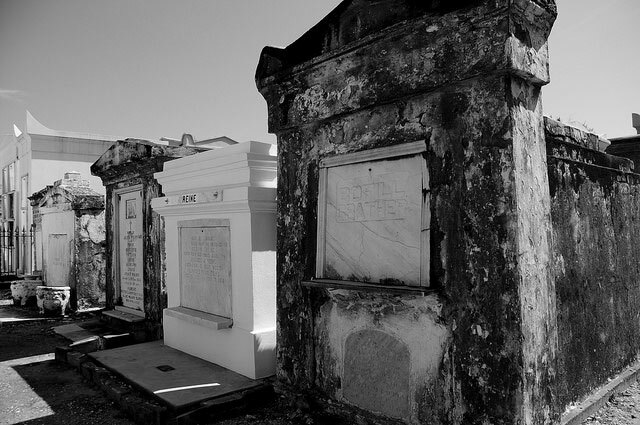 The oldest cemetery in New Orleans is also the spookiest. The voodoo priestess Marie Laveau is said to roam the tombs and whisper curses to people who trespass in the cemetery at night. Whether it’s claustrophobia from all the tall memorials that’s got your nerves on edge or something more sinister, you probably don’t want to prowl around in here after dark. 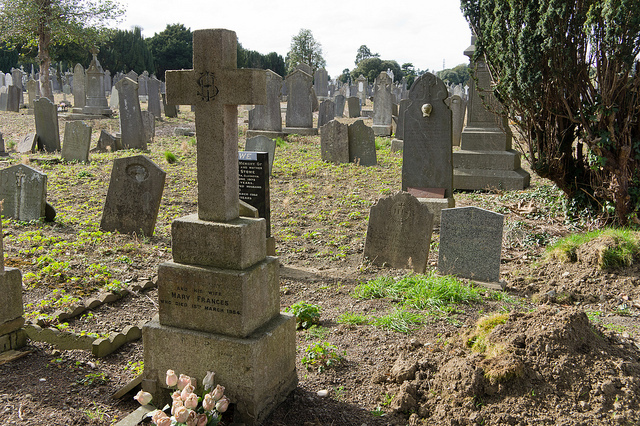 Glasnevin Cemetery in Ireland is the final resting place more than 1 million people. The area’s rolling mists make it an unsettling place to walk, and it’s said to be home to the most faithful dog ever. The ghost of a Newfoundland dog is said to still linger at his former master’s grave. 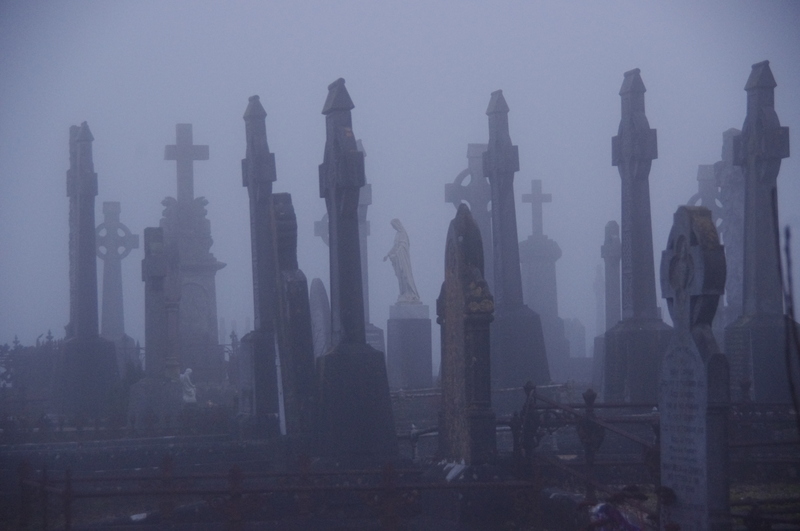 Located in London, Brompton Cemetery is said to be haunted, and some ghost hunters have even shared video of spirits they claim move through the graveyard. Opened in 1840, it’s one of the Magnificent Seven — seven cemeteries opened across London in the 19th century. 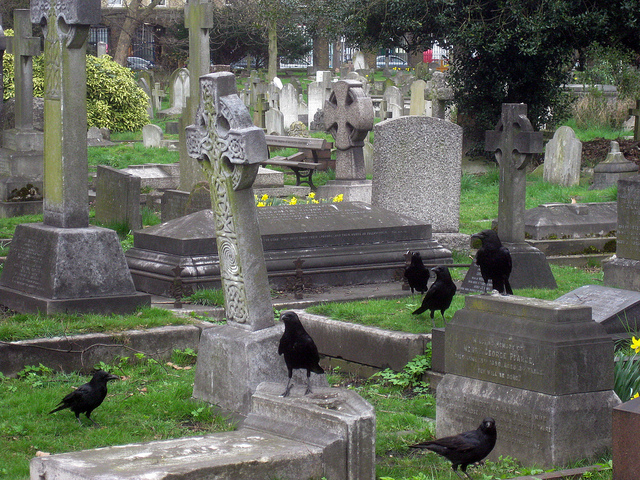 Even if you don’t believe in ghosts, the thousands of crows that rest on the tombstones for reasons unknown just might be enough to rattle your nerves. 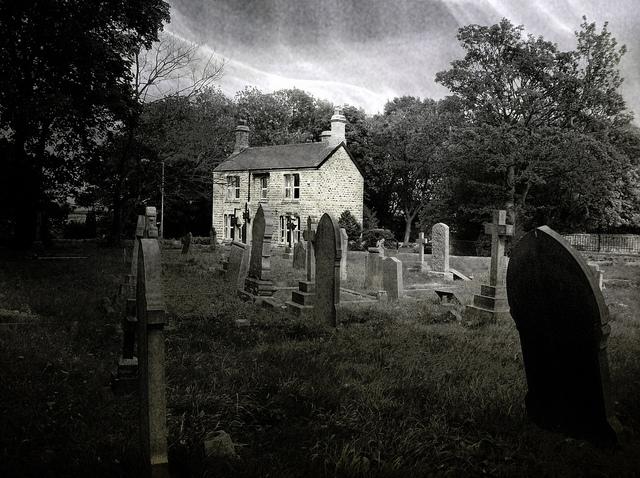 The small English village of Laughton-en-le-Morthen is home to this spooky graveyard. There’s no telling what lies inside that ominous building from this image, but if horror movies serve correct, nothing good awaits you inside. There has been so much paranormal activity in the area that an entire book was written about it. Locals claim that if you visit a nearby former gallows site at night, you can still hear the sound of a rope creaking in the wind. 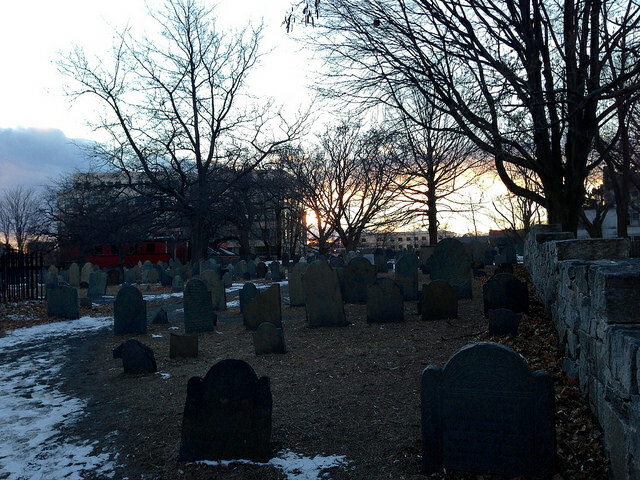 Charter Street Burying Point in Salem, Massachusetts, is home both to voyagers of the Mayflower and to John Hathorne, the man who judged the Salam witch trials. Around late October, this cemetery is not a place you want to be after sunset. 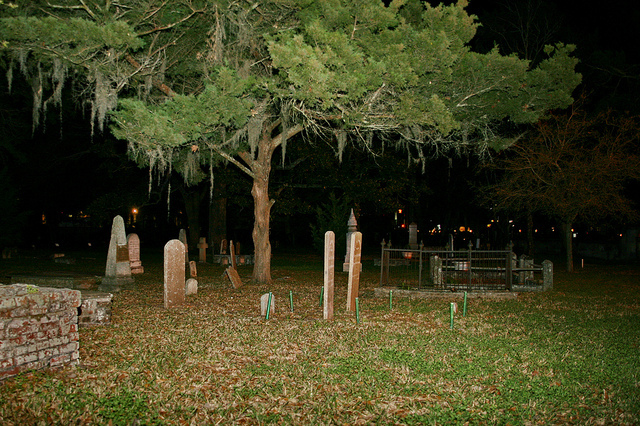 Located in St. Augustine, Florida, the Huguenot Cemetery has a frequent visitor that you don’t want to run into at night. The ghost of Judge John B. Stickney is said to travel around the grounds at night, searching for something he can’t find. 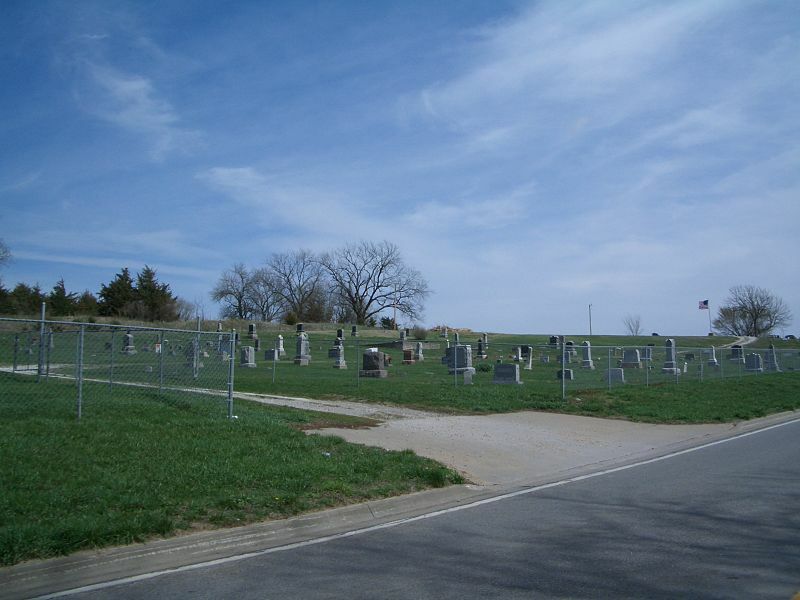 While some local residents claim otherwise, Stull Cemetery in Douglas County, Kansas, is known for being a site where the devil himself can be spotted. 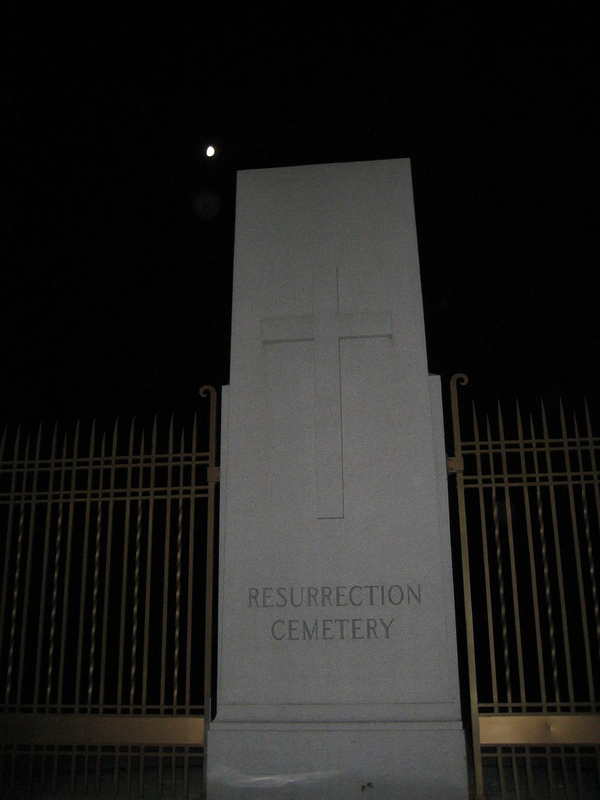 The cemetery is now closed, but former visitors claim experiencing all sorts of paranormal activity, from hearing strange sounds and ghost sightings to feeling disoriented and losing track of time. 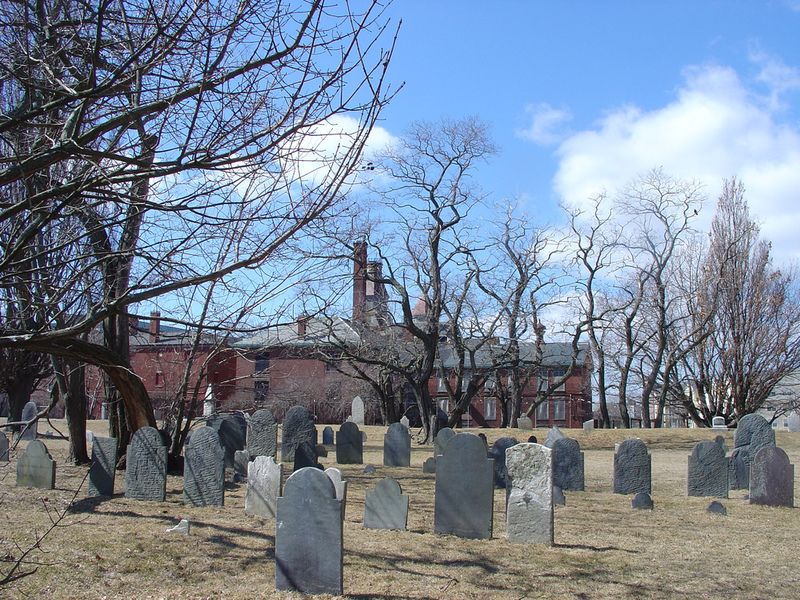 Salem, Massachusetts, is home to Howard Street Cemetery and the infamous spirit of Giles Corey. Accused of being a witch, Corey refused to submit a plea. In an effort to force him to speak, he was slowly pressed to death by more and more stones being placed on top of his body. Corey is said to haunt the cemetery and appears when terrible events are about to happen within the town.